Retinal vascular diseases are disorders that affect the blood vessels in the eyes. They have different ways of affecting vision and eye function, but all of them are involved with restricting blood circulation. Some causes a change with the blood flow, others disturb the blood vessel structure, while some affect the consistency of the blood itself. What are the Risk Factors for Retinal Vascular Diseases? Retinal vascular diseases can be triggered by medical conditions such as high blood pressure, cardiovascular disorders, diabetes, bleeding, clotting, autoimmune disorders, history of stroke, and artherosclerosis or the thickening of blood vessels. 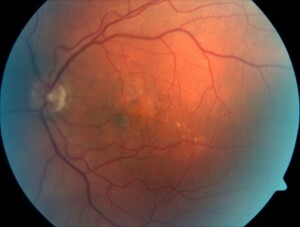 Other factors such as age, high cholesterol, using oral contraceptives, being overweight and smoking can also add up to a person’s likelihood of developing retinal vascular disorders. What are the Signs and Symptoms of Retinal Vascular Diseases? Retinal vascular diseases are usually linked with an underlying medical condition that affects the blood vessels and circulation. So a lot of the ways of preventing them have to do with maintaining healthy habits. To avoid conditions such as diabetes and hypertension, you need to maintain a healthy diet, moderate your sugar and fat intake, exercise, and get enough hours of sleep. Going to regular check-ups would also help detect health issues ahead of time and treat them before they get serious and affect the eyes. Meanwhile, if you’re already living with diabetes or hypertension, see to it that you maintain ideal sugar levels and control you blood pressure. There are several treatment options available for retinal vascular disorders. Treatment will be prescribed according to the specific condition you have, but the ultimate goal of the procedure or medication is to restore or normalize blood flow in the eyes. Laser treatments, intravenous or injection treatments, and vitrectomy are some of the ways to treat retinal vascular diseases. Do you think you may be suffering from a retinal vascular disorder? Don’t worry. We’re here to help. Arizona Retinal Specialists offer different eye care treatments for various conditions—from common vision ailments to more serious eye diseases including retinal vascular disorders. Our team is comprised of world-renowned doctors such as Dr. Gholam Peyman and Dr. Mandi Conway, which ensures that you will receive not just the most suitable treatment for your condition, but also the best quality of care. If you want to know more about Arizona Retinal Specialists, please get in touch with us. Don’t let eye problems get in the way of your quality of life. Schedule an eye examination today not just for early detection of a possible eye problem, but more importantly for you to gain peace of mind.